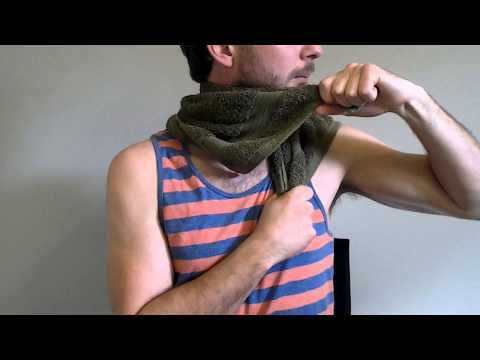 As promised, in today’s blog post, I will briefly cover a few self-mobilisation exercises that will help to improve the mobility of the cervical spine (neck) and thoracic spine (mid-back). In my previous blog post – I touched upon the sitting epidemic which has resulted in an increase in neck, mid-back, and lower back pain and stiffness. 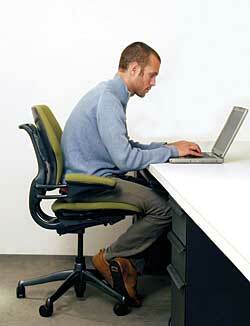 The image above is an example of bad sitting posture because it puts more strain on the neck and upper back muscles. This will cause muscle fatigue and subsequent muscle aches of varying degrees depending on the individual. Thomas Myers, the author of Anatomy Trains, states that “movement becomes habit, which becomes posture, which becomes structure .” We definitely want to avoid the last part because once structural changes start to occur, it becomes harder to fix. And while poor sitting posture isn’t a direct cause of hunchback posture, it can be an important contributing factor. The bottom line is that we need to think preventively!